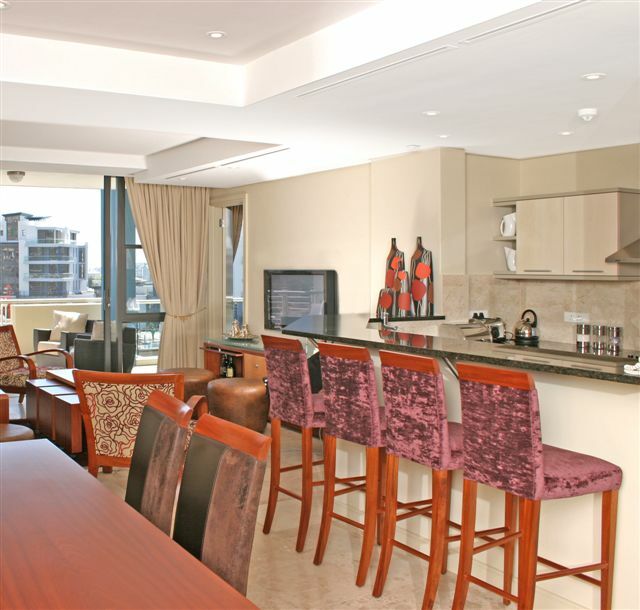 This luxury 5-star apartment is located in the exclusive residential Marina at the V&A Waterfront next to Cape Town’s harbour. 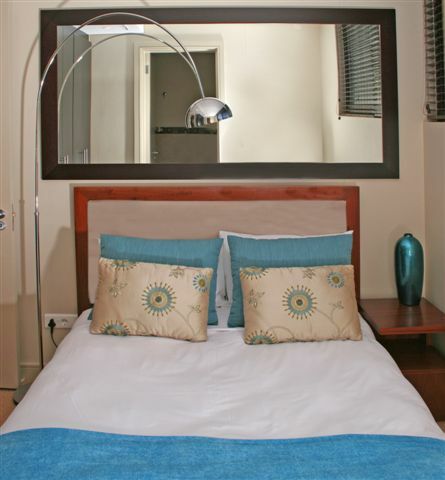 The apartment has views of the tranquil Marina Canal and the V&A Waterfront. The new World Cup Football Stadium is clearly visible on the northwest side of the Marina. On entering the apartment there is a feeling of light and space with bright splashes of colour from the various artists. The fixtures and fittings are of the highest quality. The apartment is open plan with a free-flow feel. On the one side is the kitchen area, on the other side is the dining area flowing into the living area which leads out to balcony. 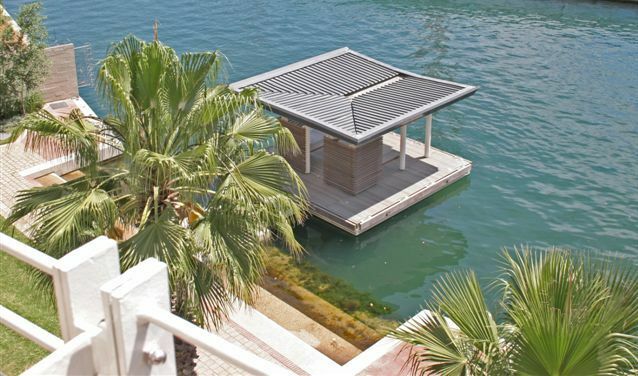 This overlooks the tranquil Marina canal. The three bedrooms and bathrooms lead off the living area. The living area décor is polished African woods and contemporary style sofas and arm chairs, with bright paintings reflecting the colours on the walls. This is an ideal spot for relaxing and watching the TV. The living area flows out to the balcony which overlooks the Marina canal and the central Marina island with its luxury villas. 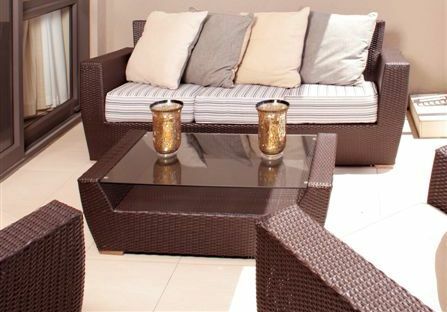 The balcony is furnished with very contemporary styled outdoor table and chairs. This is a great place for sipping cocktails while you watch the gulls fly over the canal below. The ultra modern kitchen is fully equipped for self catering vacations. The marble-topped counters and light wood cupboards are a perfect setting when whipping up a gourmet meal. A serving counter separates the kitchen from the dining area. The wooden dining table and chairs are a perfect place for lengthy dinners. 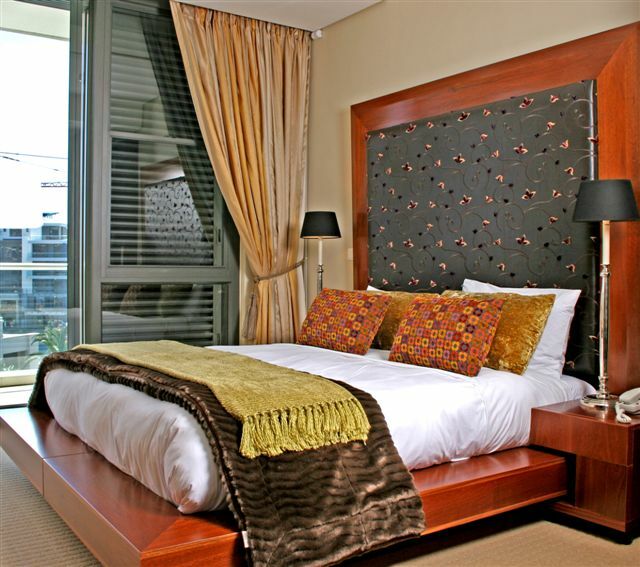 The front double bedroom has a view of the Marina and V&A Waterfront. The headboard has a satin embroidered cover, the bed is set in a wide polished wooden base with crisp white linen and an airy duvet, topped by a velvet style throw for cooler evenings. 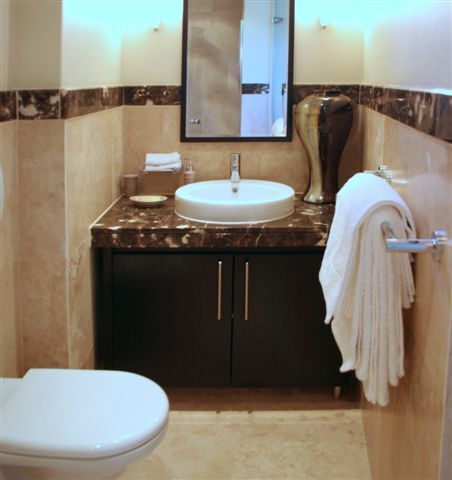 The contemporary styled open plan en-suite bathroom has a separate bath and shower. The second and third double bedrooms each have a separate bathroom. 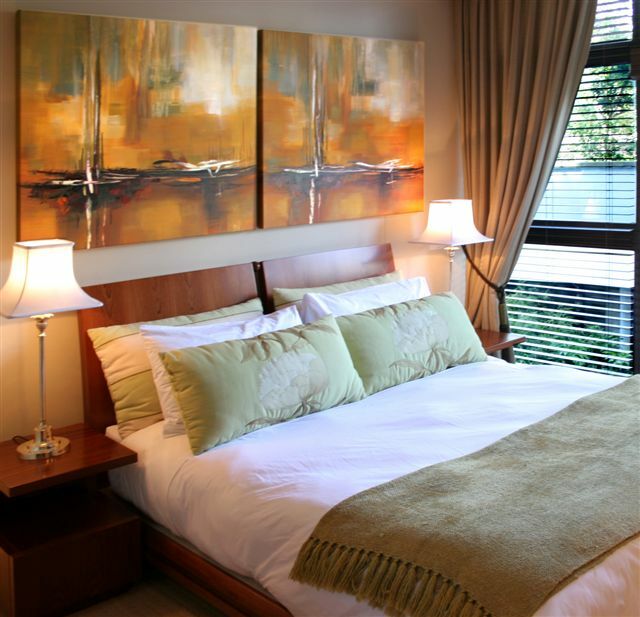 Their décor is enhanced by art works. 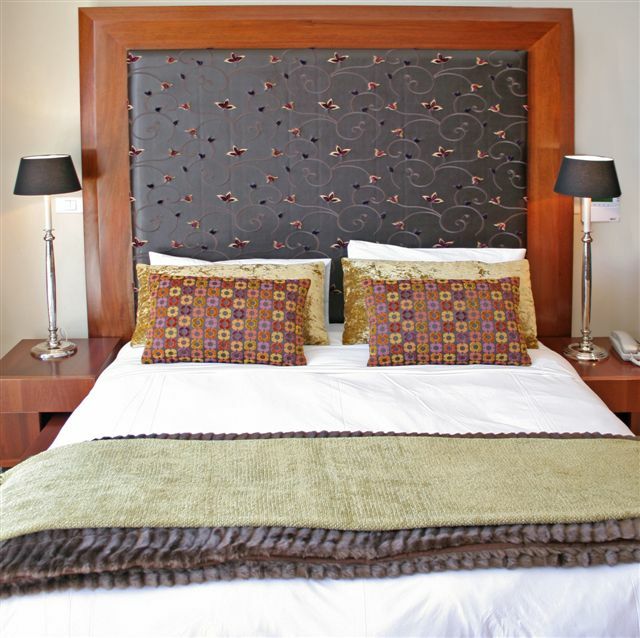 Both double beds are made up with crisp white linen and soft woollen throws over the light duvets. The apartment is serviced daily. In the Marina are 2 communal pools. A fully equipped gym and third pool at the Quarter Deck is available at an extra charge. 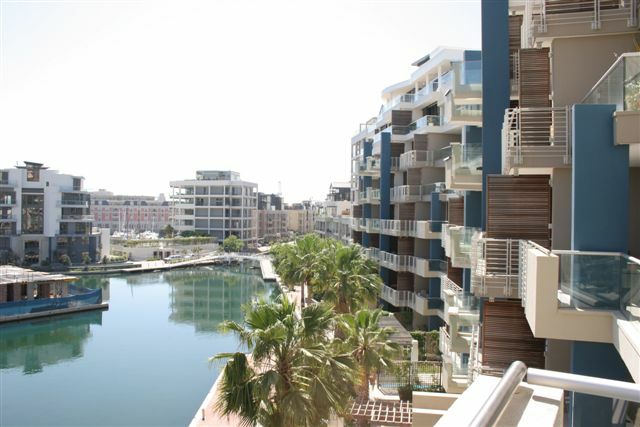 The entire Marina residential area has 24-hour high security and internal private parking. 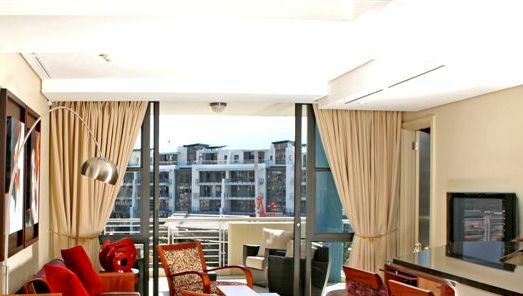 The apartment is an easy walk to the V&A Waterfront shops, restaurants, bars and all the activities. Non-refundable deposit 50% required within 48 hours of booking.